When Louise Steinman was growing up, her mother could scarcely utter the word “Poland,” a country, she had taught her daughter that allowed and perhaps abetted the genocide that decimated Europe’s Jewish population. But in 2000, at the invitation of her Zen rabbi, Steinman set out to attend an international Bearing Witness Retreat at Auschwitz-Birkenau. 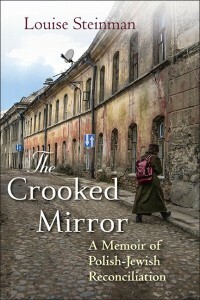 As she travels to Poland and visits her grandparents’ town of Radomsko, whose eighteen thousand Jews were deported or shot during the Nazi occupation, she gradually learns the history of Polish-Jewish relations is far more complex than she had ever imagined, and she discovers a prewar past where a lively community of Jews and Catholics lived shoulder to shoulder. 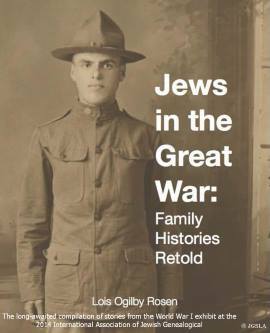 Returning time and again to Poland over the course of a decade, Steinman finds Catholic Poles who are seeking the truth about the past, however painful, and creating their own rituals to teach their towns about the history of their lost Jewish neighbors. This talk will address her immersion in the exhilarating, discomforting, sometimes surreal, and ultimately healing process of Polish-Jewish reconciliation, as well as the search to learn about her family’s history in Poland. Paperback books will be available for purchase and signing. LOUISE STEINMAN is the author of the award-winning memoir The Souvenir: A Daughter Discovers Her Father’s War and The Knowing Body: The Artist as Storyteller in Contemporary Performance. 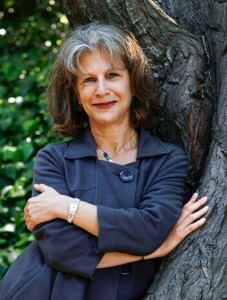 She curates the ALOUD literary and performance series for the Library Foundation of Los Angeles and co-directs the Los Angeles Institute for the Humanities at the University of Southern California. She has lectured around the United States about her work in Poland, and abroad at venues including the Wiener Jewish Museum in London and the POLIN Museum of the History of Polish Jews, in Warsaw. Her essays and articles have appeared in many publications, including the New York Times Syndicate, L.A. Times, Washington Post, Los Angeles Review of Books, and various anthologies. She blogs at www.crookedmirror.wordpress.com.